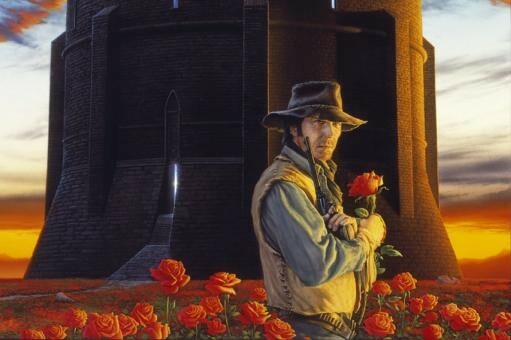 Just a month or so after Universal and director Ron Howard officially confirmed their plans to adapt The Dark Tower saga into both the theaters and television formats, the studio has set aside a release date for their first adventure of gunslinger Roland Deschain of Gilead. Perhaps to be taken as a sign from fans that the first project will be a high-budget affair, Universal plans for the first tale to strike theaters May 17, 2013. It’s the third Hollywood production to be officially scheduled for a firm 2013 release and the second May 2013 release behind Disney and Marvel’s Iron Man 3 (May 3). Universal Pictures and NBC Universal Television Entertainment recently acquired the rights to produce three films and a television series based on the Stephen King creation, with plans to have Ron Howard direct the first film and the first season of its television counterpart currently being scripted out by Akiva Goldsman.